I just tried using Simplify 3D with their trial version but I didn't have any luck. 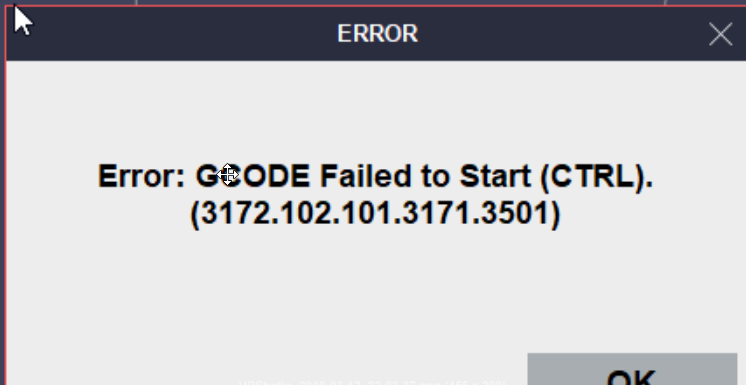 I followed the TierTime instruction exactly as per the PDF (using upbox+ settings) but when I went to import the G-code it just showed an error. Something about unable to recognize command. I don't know if it needs to be connected directly via USB or if the UP300 simply doesn't support the G-code import. TierTime's manual does not specifically cover the UP300. TierTime can you clarify if this is possible? - 99% fill reduces the wall thickness to 1 layer. - There's often gaps in the fill on top layers and the fill does not perfectly follow the edge. - You can't adjust edge thickness. I looked at Cura also but there doesn't seem to be a way to support the Z calibration at the bottom of enclosure. There's a Z-offset plug-in but it works the other way only. Good thing Simplify 3D has a trial period. I haven't followed the g-code thread closely but I do recall it only being supported by some models/firmwares, and that some older versions simply can't and won't be supported. Maybe check if yours can be updated or what version its at? There is also an alternative g-code transcoder project, which will take "normal" g-code and re-write it to the weird coordinate system used by Tiertime, but I never bothered trying as my printer is uable to print without a raft anyway, and then Up Studio kinda works. When I modify the bed I'm not going back to Up Studio however. The UP300 is the brand new machine, with updatable firmware that we've been promised works with GCODE, so it should be good to go. I only get errors when I start to print. Something about unknown command. I wish there were some more detailed instructions from Tiertime on this. I'd like to know if a gcode steam is sent from the PC or a task file is sent to the printer first? Can it run over wifi or should it be USB connected? Are there any other things to look out for? Like I said I followed the PDF instructions perfectly and it doesn't work. It's not even that it's not printing well. It doesn't even start. Can you please try setting your extrusion width to 0.6 and printing at 99% and let me know if that fixes the detached wall problem for you also? I find it keeps defaulting back to 0.45 a lot, but I find that at 0.4, 0.5 and 0.7 I still get the problem. At 0.6, it seems to go away for some reason. Just wondering about the characteristics you're experiencing. fff files for simplify3D or at least Gcode simple exemple files would help to understand what's wrong. I'm using the latest beta. I've bought the up300 because gcode support was on the specs sheet. Yep: To confirm, that's the same error I get.